In today’s world, there are so many things to learn and experience, yet most people would rather stick to what they already know, and not bother to take a leap and experience something new. If you ask somebody what may prevent them from learning a new skill, they would use time as an excuse. But mastering new skills is not optional in present days. In a fast-moving, competitive world, being able to learn new skills is one of the keys to success. So, here are some ways to master a new skill. 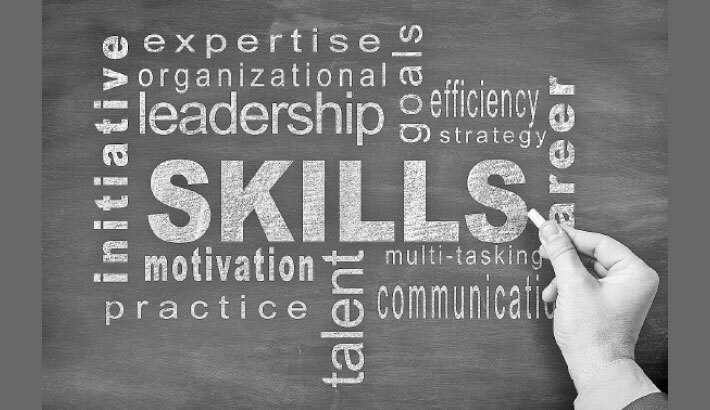 At first you make sure that the skill you want to learn is relevant to your career, your organization, or both. You may be jazzed up about learning how to speak in front of large audiences, but does your manager value that? Unless you absolutely need the skill for your job, or for a future position, it is unlikely you will get money for training or support from your boss. Gaining a new skill is an investment and you need to know what the return will be. Some learn in the best way by simply looking at graphics or reading. Others would rather watch demonstrations or listen to things being explained. Still others need a hands-on experience. Whatever it can be, you figure out your ideal learning style by looking back. Reflect on some of your past learning experiences, and make a list of good ones and another list of bad ones. What did the good, effective experiences have in common? How about the bad ones? Identifying common strands can help you determine the learning environment that works best for you. Eliciting support from others can greatly increase learning. Find someone you trust who has mastered the skill you are trying to attain. And look beyond your immediate boss who has to evaluate you. If you cannot find a mentor inside your company, look for people in your industry or from your network. Ultimately, you want to go with the best teacher. If there is someone in your organization who is able and willing to provide quality mentoring, then it will be great. If not, seek outside help. Self-improvement can feel overwhelming. You cannot take on everything. If you do, you will never do it. Instead, choose one or two skills to focus on at a time, and break that skill down into manageable goals. For example, if you are trying to become more assertive, you might focus on speaking up more often in meetings by pushing yourself to talk within the first five minutes. To move from experimentation to mastery, you need to reflect on what you are learning. Otherwise the new skill won’t stick. Always share your goals with those individuals who can provide informational or emotional support along the way. Even if that person does not have the answer, he can help you and keep you honest about how much you are improving. Talking about your progress helps you get valuable feedback, keeps you accountable, and cements the change. One of the quickest ways to learn something new, and to practice it, is to teach others how to do it. So share what you learn with your team, your manager, or your co-workers. You can force yourself to do it by putting a teaching date on your calendar or agreeing to lead a formal training session a few months later. With objectives like those, your learning will be much more focused and practical. Too often, we approach a new skill with the attitude that we should nail it right out of the gate. The reality is that it takes much longer. It is not going to happen overnight. It usually takes six months or more to develop a new skill. And it may take longer for others to see and appreciate it.